March 06, 2011 in "ITALIAN LANDSCAPE", "SHAKESPEARE"
The “architecture” of the ghetto within society was introduced hundreds of years ago in Europe. William Shakespeare uses the ghetto as a setting in The Merchant of Venice. Jews had been expelled from most of England during his time, but literary scholars believe he was aware of the Venetian Jews through the reading of the Jew of Malta by Christopher Marlowe written in 1589. At that time Jews lived in a constricted segregated enclave. 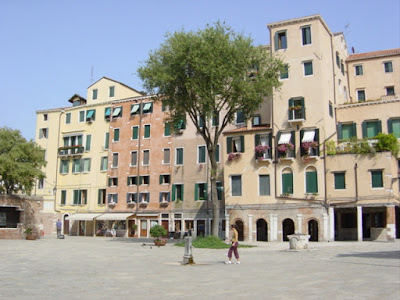 In the 1500’s Venetian Jews were forced to live on an island, within a walled area. As it was counter to their beliefs, Christians at this time were not able to lend money and charge interest (usury). Jews were prohibited from most careers, limiting competition within the general economy, however they were able to lend money. The etymology of the word “ghetto” comes from the Latin word “ghet” or the verb “gettare” -- to pour or cast. 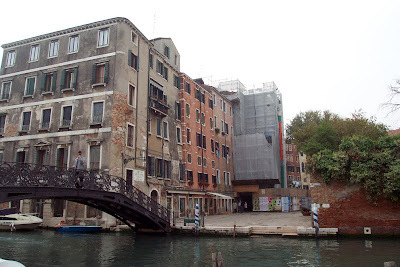 The reference pertains to the early Venetian ghetto, which was erected next to an iron foundry. The ghetto system in Italian cities remained enforced until the era of the French Revolution. It had a clear purpose: to enable Jews to take part in economic life, while setting strict limits on their participation in social life.